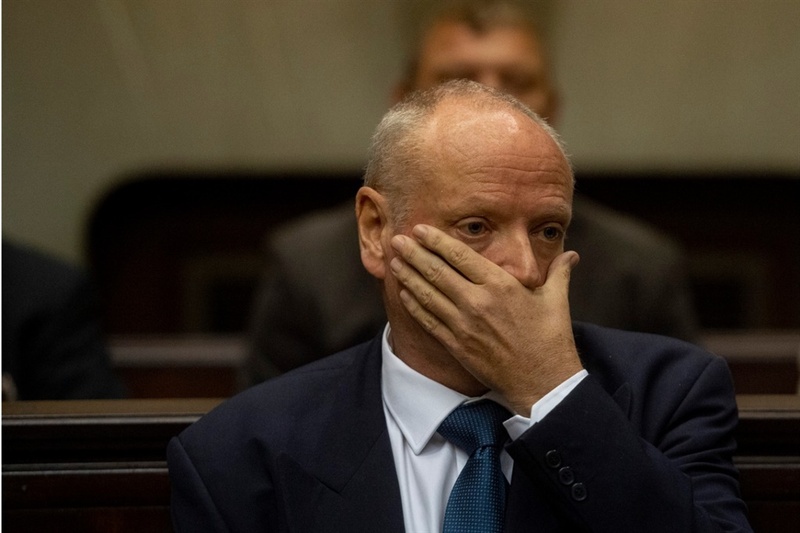 Detectives had a target on Rob Packham's back from the start of their investigation into the murder of his wife, Gill, and did not establish a proper basis for his arrest, the Western Cape High Court heard on Wednesday. Advocate Craig Webster, for Packham, took the investigating officer in the case, Sergeant Ivan Sonnenberg, to task for what he deemed irregularities in how his client was treated and how the investigation unfolded. Webster said his instructions were that officers had it in for Packham from the moment they visited his home on February 23, 2018, the day after his wife's charred remains were found in the boot of her burnt-out car in Diep River. Even though Packham was not yet a suspect, it was unusual that they had not allowed him to travel in his own car to the police station, he said. "He says your attitude and the other police officers towards him was hostile when he arrived there [at home]." Sonnenberg said that wasn't true. He also denied that they seized Packham's cellphone, saying it was willingly handed over at the police station so they could exclude him as a suspect and check his Google Maps timeline. Webster said his client offered to sit for a polygraph test at the station but was told it wasn't necessary. Sonnenberg said he could not remember everything that happened. The defence pointed out that at the time of his arrest, six police officers gathered in Riesling Road to tape it off. Sonnenberg said they had not known what to expect at Packham's home. Webster continued that his client had not matched the witness statement in the police's possession at the time, describing a driver at the crime scene as a "coloured male, light complexion, 30 to 35 years". Sonnenberg said they had based their arrest on various findings, including the deceased's identity, cellphone records which showed the accused was not where he said he had been in his statement, and video footage from the neighbourhood watch "which matched what he looked like". Webster said the photo identity parade was "artificial and contrived". In response, Sonnenberg said he had struggled to find suspects at other police stations who looked similar to Packham and had to request a photo parade over a line-up. The defence pointed out other irregularities such as transporting witnesses together to an identity parade, not following all leads with possible suspects, and not taking statements from an elderly couple who rented a flatlet adjoining the family home at the time of the murder. Webster asked: "You said that Packham did not explain his or his wife's blood at their home. Did you ask?" Sonnenberg replied that they interviewed him the day after the blood was found at the premises but no explanation was forthcoming. "I didn't interview him personally but I am sure we would have asked." Webster disputed that a broken axe found under a pile of linen in the garage was hidden. He pointed out no DNA was found on the axe and accused the detective of making something out of nothing. Sonnenberg repeated that no other items were found in the linen and that's why he found it strange. Webster concluded: "You have not been involved in a fair and even-handed investigation. It has been targeted and biased against the accused." The investigating officer replied that he did his work to the best of his ability. "I have no reason to target anybody in this case. I never wanted to maliciously arrest Mr Packham for this case. I did everything I needed to do." Webster continued that it would be his submission that there was never a proper basis for Packham's arrest. Sonnenberg denied this. He was excused from the stand. The trial will resume on Monday. Packham remains in custody.